The authorized re-creation of the Star Trek Tridimensional chess set from the Franklin Mint was released in 1994 in honor of the 50th anniversary of the original Star Trek TV series. It was first seen in the second episode of the Original Series, Charlie X. 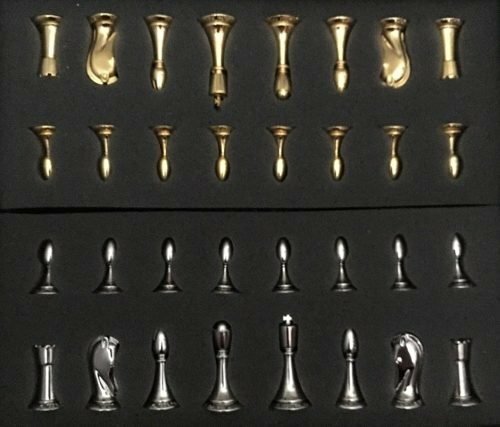 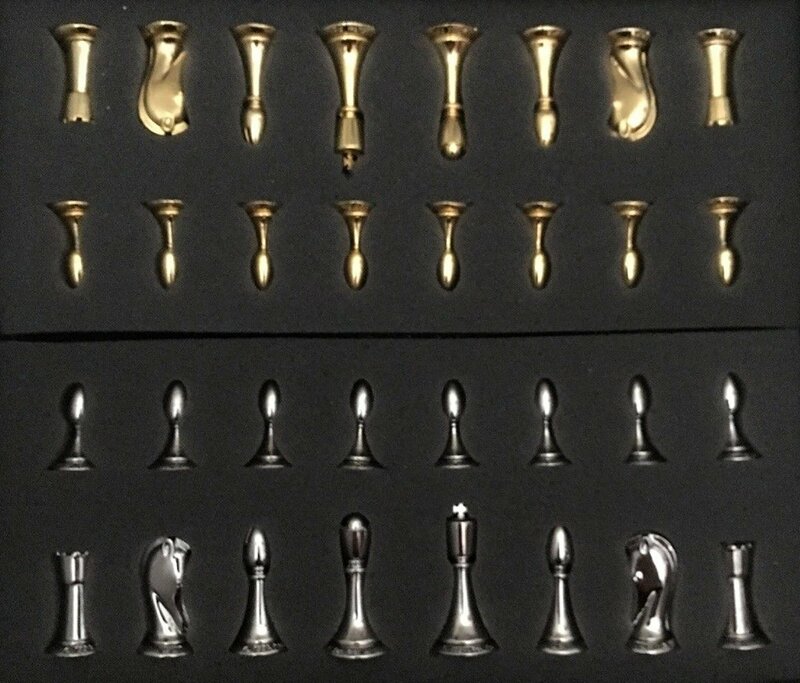 The Star Trek 3-D Chess Set had a very limited production run.The 32 game pieces are precision cast and coated in sterling silver or 24 karat gold. 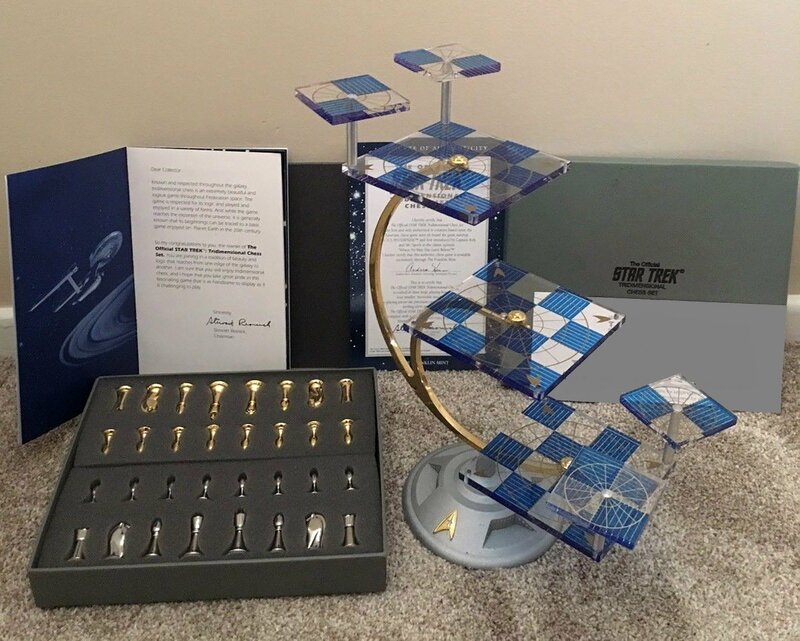 This iconic 3-D chess Set comes complete with a Certificate of Authenticity, a Photo of Captain Kirk and Mr. Spock Playing Tridimensional Chess and a specially designed, highly collectible booklet containing Tridimensional Chess History, Rules and Strategy. 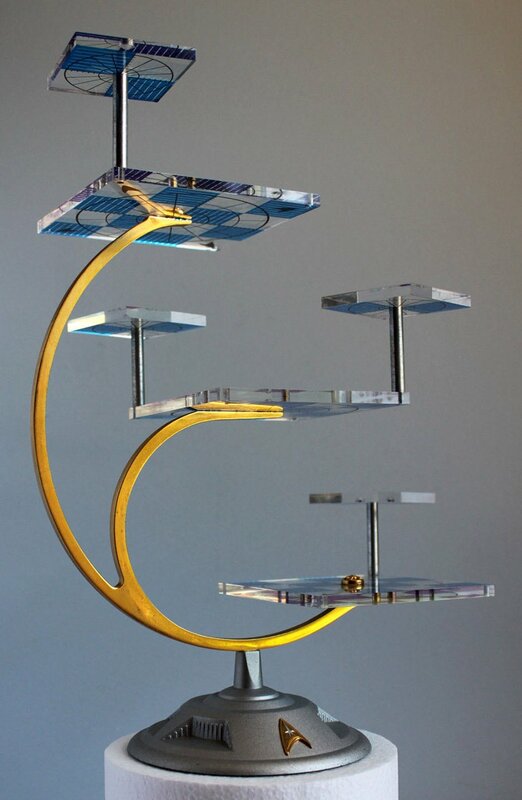 This is a stunning, limited edition showpiece measuring 14” tall. 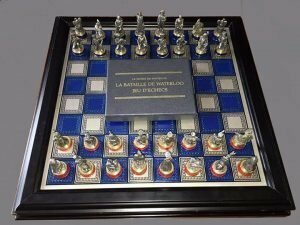 with three main playing boards (4-1/4″ square) and four movable attack boards (2-1/8″ square), each in color-etched acrylic. 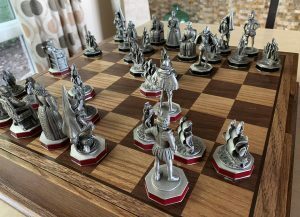 The chess set is in like-new condition. 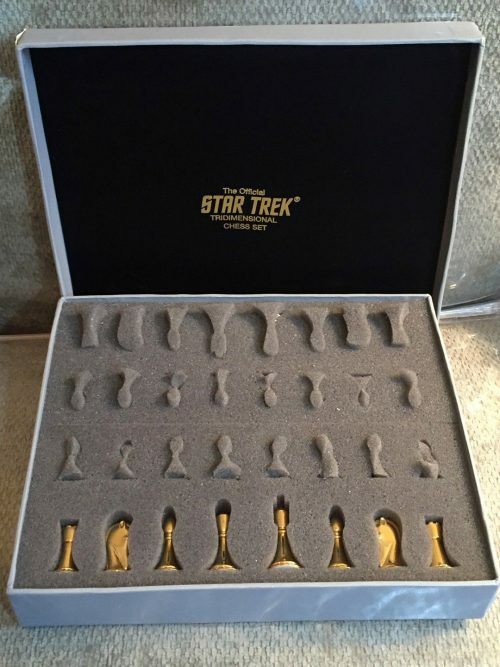 Since its inception in 1964, Star Trek has captured the hearts and minds of fans eager for a brighter future. The series’ views and ideas have moved beyond the screen and inspired the world outside of Science Fiction. 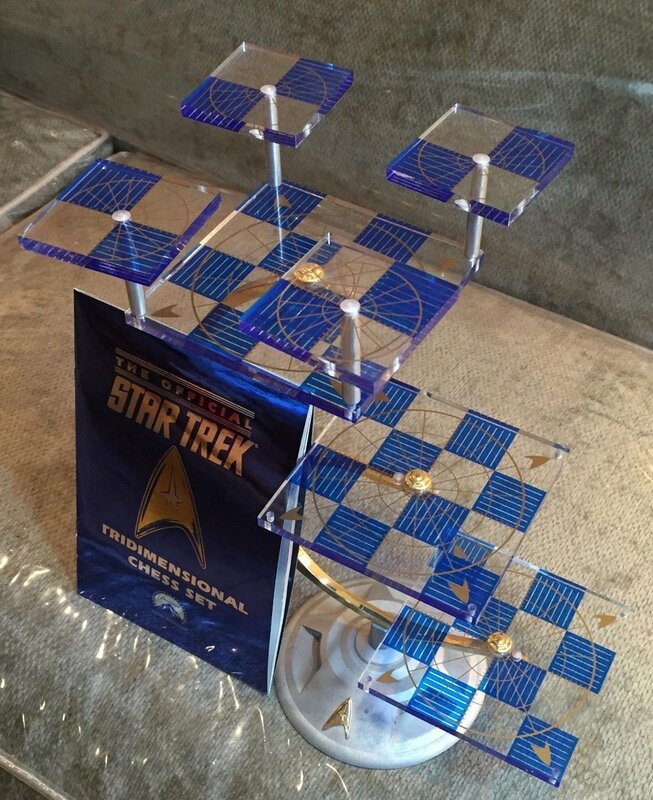 An example of its influence is this Star Trek Tridimensional Chess Set. 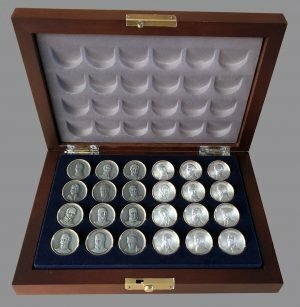 It was a major part of the plot of the original series, Season 1, Episode 20, Court Martial. 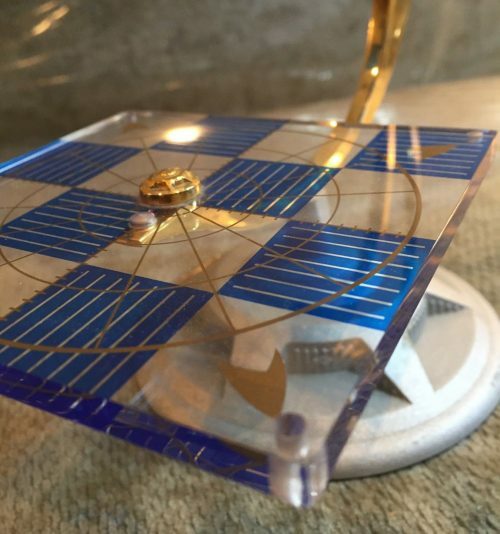 Here, Captain Kirk is under investigation for the death of a Lieutenant Commander due to his research pod being jettisoned from the ship during an ion storm. 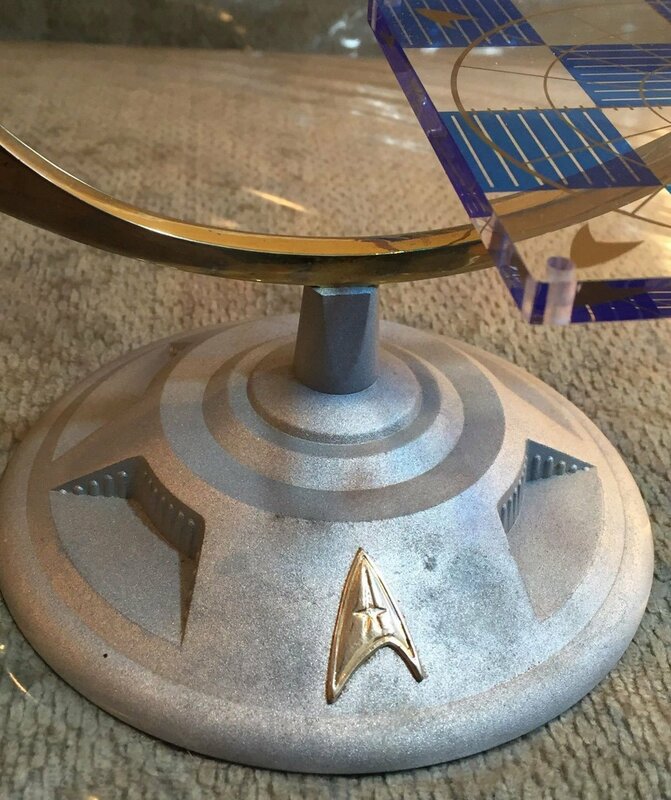 Kirk claims this act was necessary to save the Enterprise during “Red Alert”. 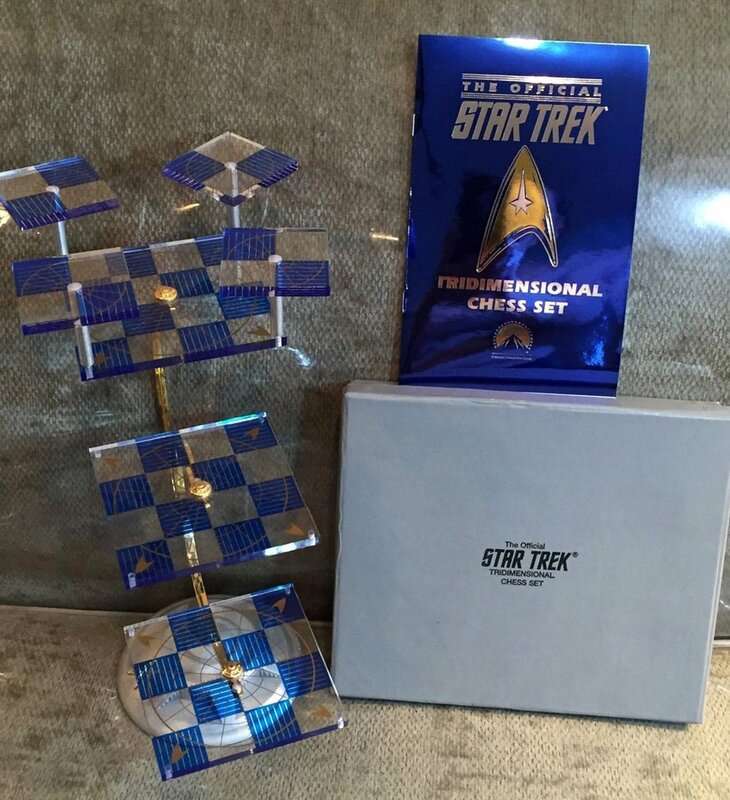 Unfortunately for Kirk, the computer log says the ship was in “Yellow Alert” at the time of the incident. 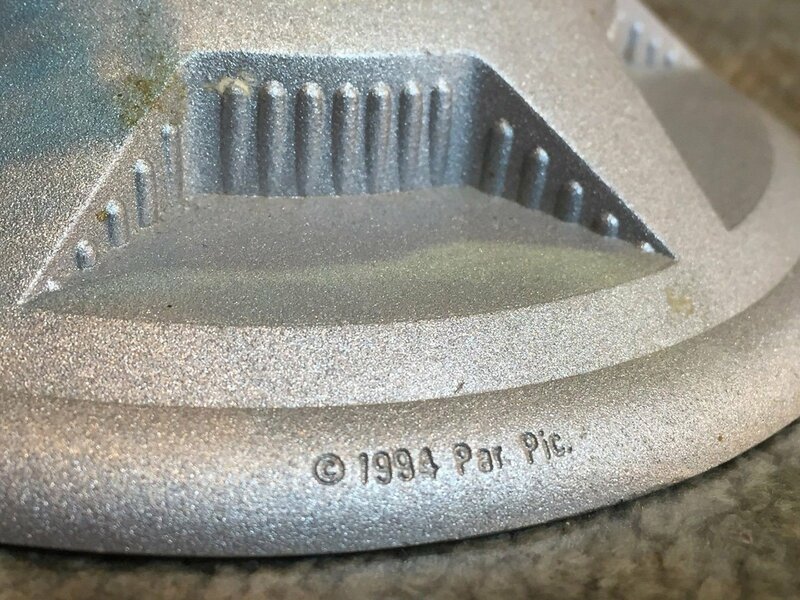 The clever Vulcan, Mr. Spock, realizes the computer had been tampered with. He came to this conclusion based on the fact that he was able to defeat the computer four times in a game of 3-D Chess, despite the fact that he himself had written the computer’s Chess program and therefore should have achieved no more than a draw. 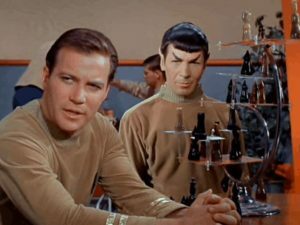 Both Spock and the Chess set save the day! Since the debut of “Court Martial” fans have been fascinated with the Star Trek Tridimensional chess set featured in the episode.There have been many pop culture references to it, including episodes of “The Big Bang Theory” and “Doctor Who”. 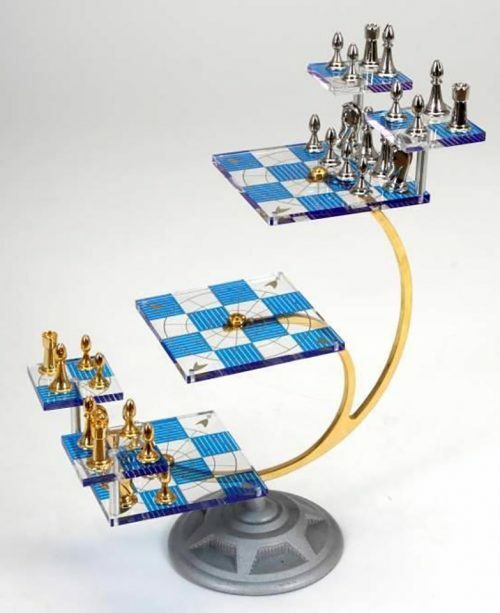 The Star Trek Tridimensional chess set is bold, distinctive, eminently logical, and has everything you’ll need to start your intergalactic chess playing expedition.